Gold medal from the Division Championship of the 1946-1947 Football League season, won by Cyril Done of Liverpool. This was the first post-war season and Done's 10 goals were essential to Liverpool's Division Championship. 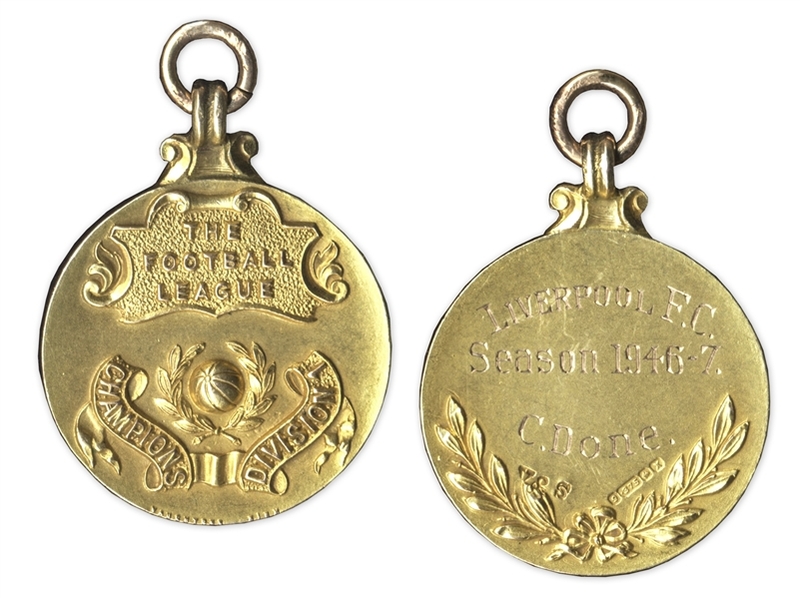 The Football League was established in 1888 and was the top soccer league until the formation of the Premiere League in 1992. 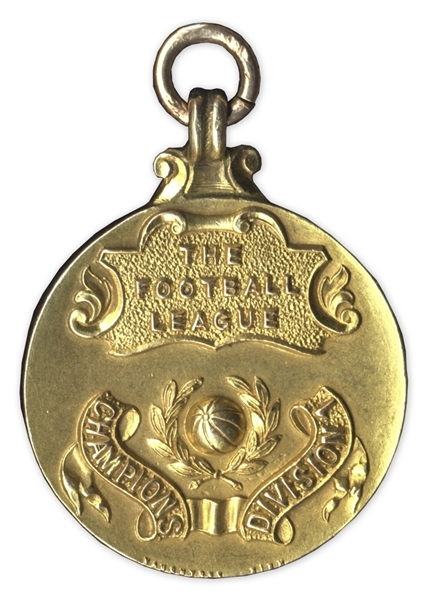 Front of medal reads, ''THE FOOTBALL LEAGUE'' in raised letters on top and features a raised soccer ball framed by the words, ''CHAMPIONS / DIVISION 1'' in raised ribbons. 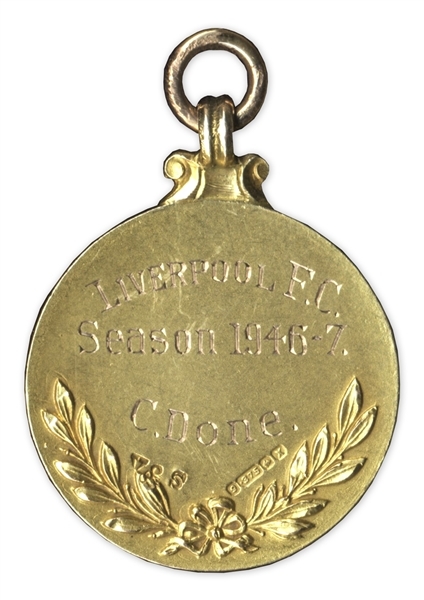 Verso reads, ''LIVERPOOL F.C. / SEASON 1946-7 / C. DONE''. 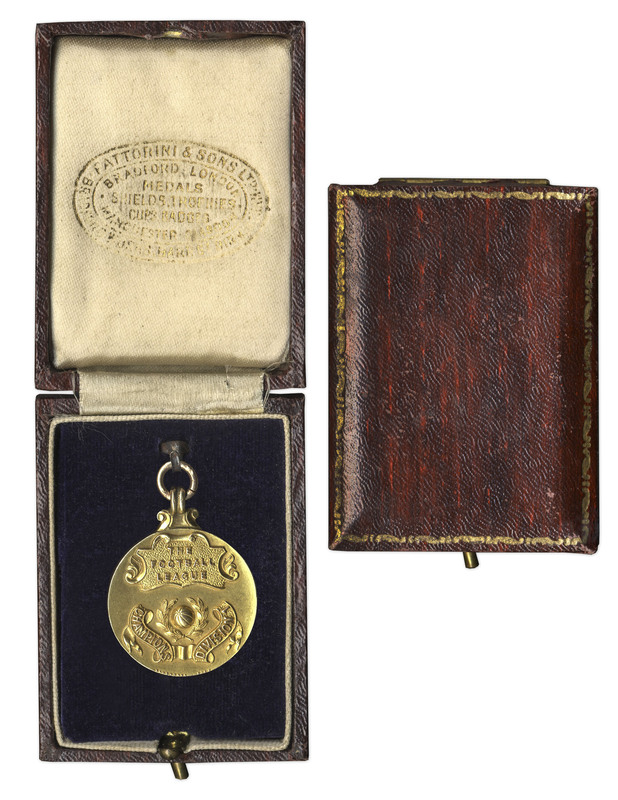 Medal measures 1'' in diameter and weighs 22 g., or 0.78 oz. Comes housed in brown box with black felt bottom and white satin lining. Near fine condition.